Firms raked in Rs 4,92,047 crore in 2015-16 through private placement of corporate bonds, higher than Rs 4.66 lakh crore garnered in the preceding financial year ended March 2015, as per a report by Prime Database. 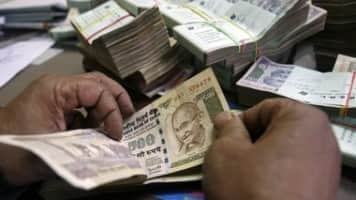 Indian companies raised a record Rs 4.92 lakh crore last fiscal through private placement of corporate bonds to meet business needs, a surge of six percent from the preceding year. This was the highest ever fund raising by companies in a financial year since 2001-02, when the firms had raked in Rs 45,427 crore. Companies flocked to the debt route instead of raising capital through equity markets as the BSE's benchmark Sensex plunged by over nine percent in the past fiscal. Financial services sector continued to dominate the market, collectively raising Rs 3.18 lakh crore or 64 per cent of the total amount, Prime Database Managing Director Pranav Haldea said. This was followed by power segment with an fund mop-up of Rs 58,499 crore, he added. The highest mobilisation through private placement of debt during the period was by LIC Housing (Rs 26,412 crore), followed by Power Finance Corp (Rs 23,587 crore), Rural Electrification Corp (Rs 22,303 crore), HDFC (Rs 22,276 crore)and NABARD (Rs 14,730 crore).